The battle for the Dunlop-Motul Tasmanian Rally Championship continues this weekend with the penultimate event, the Rocky Cape Sprint Rally. Organised by the North West Car Club, the rally encompasses a new concept for the Dunlop-Motul TRC, with the event consisting a single heat of 50 competitive kilometres, using roads in the forests surrounding Rocky Cape. Bodie Reading and Alex Malcolm continue to lead the championship, however, have proven vulnerable during the past two events, with off road excursions in 3 of the past 4 heats damaging his championship lead. Tim Auty continues to chase the Reading Subaru, after winning his first ever rally at Subaru Rally Tasmania. The Mazda 323 GTR has proven to the be the fastest car in the field, however, mechanical dramas at the first two rounds have left them playing catch up. Anthony Carr replaces Jon Mitchell in the co-drivers seat for this event. Steve Maguire and Stuart Benson will again campaign their Mitsubishi Lancer Evo V that finished second outright at the Hellyer Rally, whilst Kurt Wylie and Keegan Buckley will provide further competition in their Subaru Impreza WRX STI. In the two wheel drive field, championship leader Mark Kyle will be under siege from the trailing Nathan Roddam (Hyundai Excel) and Stephen Turner (Ford Fiesta R2). Roddam and Turner have already dropped their 2 worst heats for the year (with non starts), whilst Kyle has scored consistently in each heat. Hellyer Rally 2WD winner Kade Barrett and 2016 2WD champion Lee Peterson have also entered Rocky Cape, creating an exceptionally strong field. In the Buckby Subaru Challenge, Nic Grave holds a strong lead from Ben Newman, who is not competing at this round. Bill Fulton will provide a challenge for Grave, with Bill’s pace improving from round to round, whilst Elliot Ritchie will welcome younger brother Fraser into the co-driver’s seat. 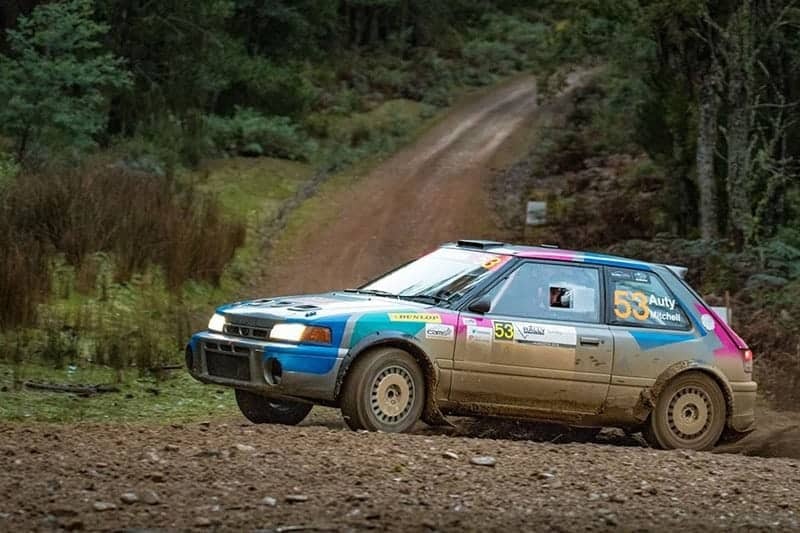 The event will also see a strong club rally field behind the Dunlop-Motul Tasmanian Rally Championship, led by Peter Barrett and Melissa Weldon, whilst 3 teams will also take part in an Introductory Rally component of the event. The first car will leave at 11:00am from the Rocky Cape Tavern and is due to finish at 4:00pm. Spectators will be able to see 4 different corner configurations from the central spectator point. More information can be found in the Spectator Guide.